Well, well, well what do we have here? Just one of the coolest MLB collector pieces you can have! 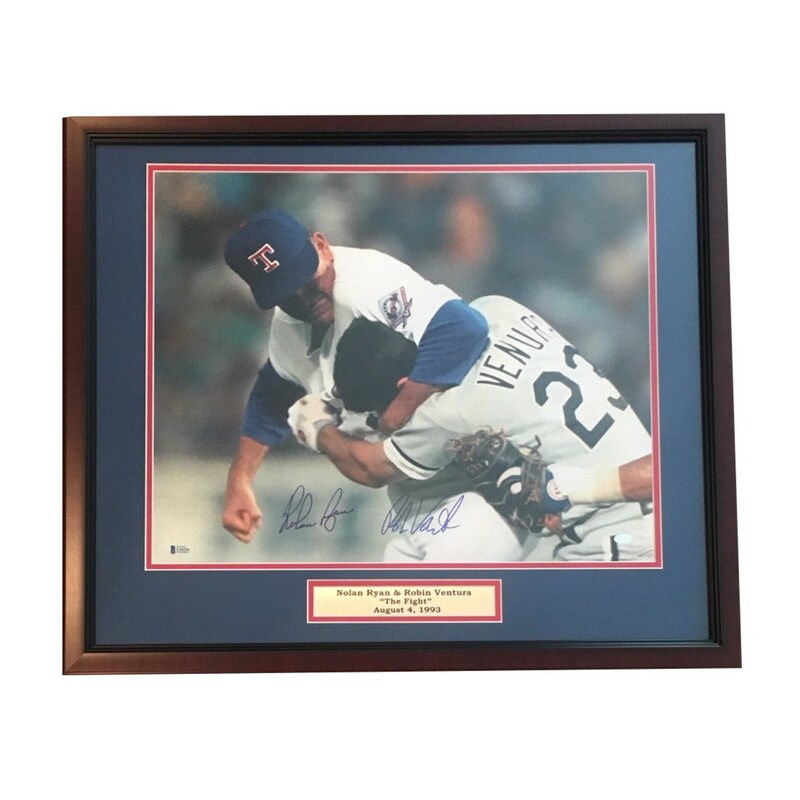 On August 4, 1993, Nolan Ryan's Rangers faced off against Robin Ventura's Chicago White Sox. Nolan Ryan came up and in and hit Ventura with a fastball. Ventura dropped his bat and charged the mound. Ryan countered and delivered six blows to Ventura's head. This was one of the best fights in Major League Baseball history. 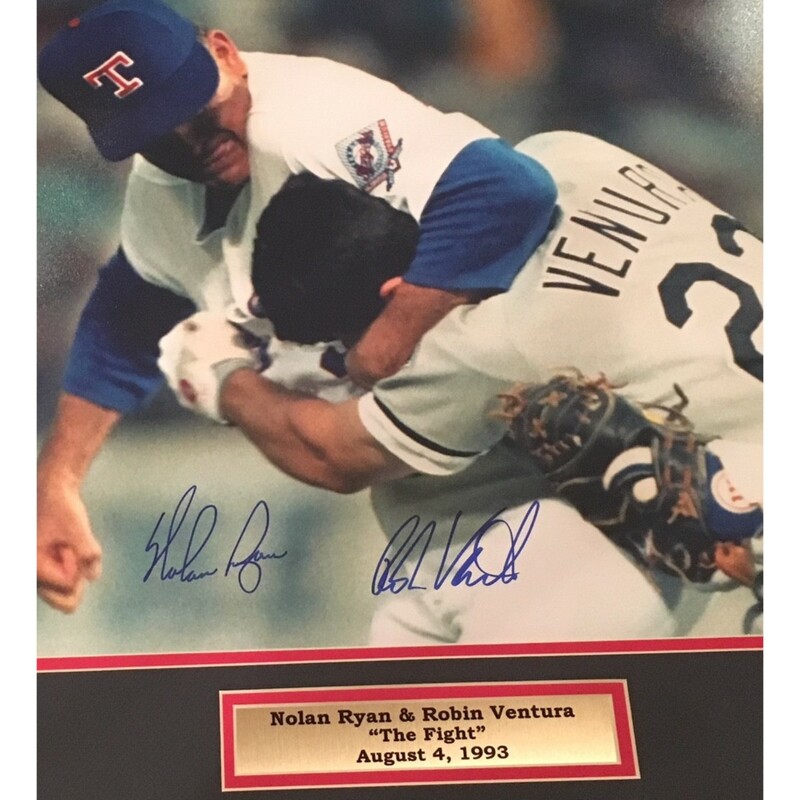 Both Ryan and Ventura have signed this 16x20 photo of that fight. Very rare item to have both autographs on. 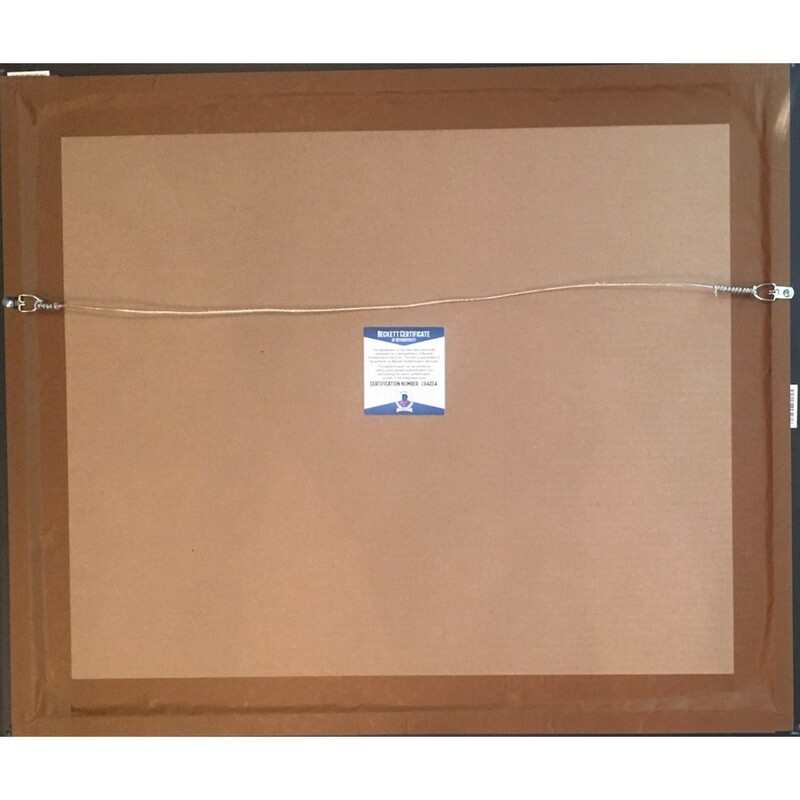 Mahogany frame measures 20x24 and comes ready to hang. 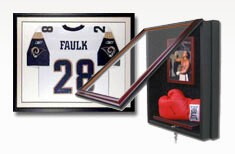 The Ryan autograph is authenticated by Ryan himself, with his personal authenticity hologram. The Ventura signature is authenticated by Beckett Authentication Services (BAS), who was present for the signing with Ventura and witnessed him signing your item.